Blyth neighbourhood team with residents. 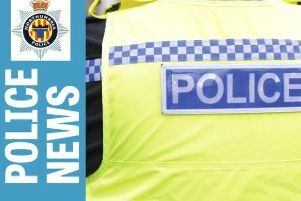 Police in south east Northumberland have been running a week of action to crack down on crime and disorder. Officers from the Blyth Neighbourhood Team are running a series of community clean up operations in partnership with the council and charity Improving Croft and Cowpen Quay, will also be carrying out activity to tackle crime, disorder and anti social behaviour (ASB). During the week the team will target known offenders, executing search warrants, and officers will be involved in a bike and property marking events. Uniformed officers are carrying out community patrols and speaking with residents and business owners to help make the area an even safer place to live and work. Blyth Neighbourhood Inspector Dave Simpson said: “This activity is an excellent example of community driven policing. “Residents have highlighted a number of crime and anti social behaviour issues in recent months to both police and partners. “We sat down, listened to those concerns and then drafted and delivered a joint plan. This week of action is part of an ongoing timetable of partnership activity in the area.